Shahrbanou Baghermousavi was born in the town of Maku in Iran in 1958, and is one of four children. Her father was a teacher and her mother a housewife. When she was seven years old, the family moved to Tabriz, a city in the north-west of Iran. At an early age, she discovered her love of literature, poetry and child psychology. After passing secondary school examinations and completing preparatory studies, she became a teacher of the Persian language and literature. Whilst working in her profession as headmistress of a high school, she graduated in 1989 in her psychology studies in the special field of child psychology. In 1997, in accordance with the Iranian law of that time, she retired after almost 20 years of service in schools as a teacher, deputy headmistress and headmistress. Shahrbanou Baghermousavi moved to Germany with her family in 1997. This was followed by a creative hiatus of several years which, among other things, was due to learning the German language. 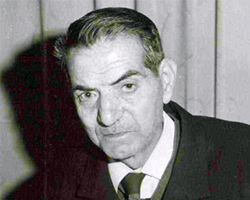 To this day, Shahrbanou Baghermousavi has published four novels with short stories. 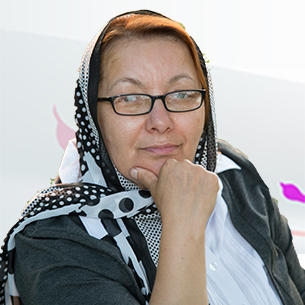 She still lives in Germany and continues to write books about the archaic Persian language, literature and novels and regularly holds workshops and seminars on different literary topics in the Persian language. The collection of words in azeri language, with usage of information, definitions, etymologies, phonetics, pronunciations, translation, and other information. 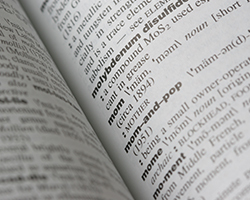 A project since 2001 – Dictionary Azerbaijani (Azeri). The collection of words in azeri language, with usage of information, definitions, etymologies, phonetics, pronunciations, translation, and other information. A project since 2004 – A collection of azeri poems.